It supports craftsmen from all over Palawan. 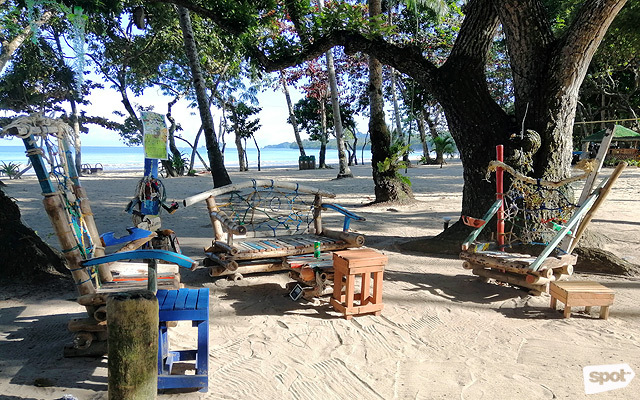 (SPOT.ph) Visit Lio Tourism Estate in El Nido, Palawan and you'd never want to leave the island paradise ever again. It has a long stretch of white-sand beach, low-rise boutique hotels, rows of restaurants with al fresco dining, a craft beer station (where you can get caramel beer for just P100), and retail stores in case you run out of sunblock or a clean pair of bikini. 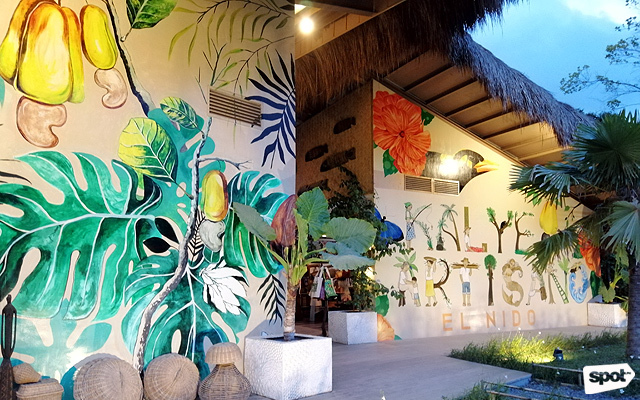 And within this 325-hectare Ayala-owned tourism property is an artists' village that boasts Palawan-made arts and crafts, from Instagram-worthy mural paintings to interesting keepsakes you'd want to take home to your friends—Kalye Artisano. Open daily from 9 a.m. to 7 p.m., it's the first thing you'll see coming into the tourism estate from Lio Airport. 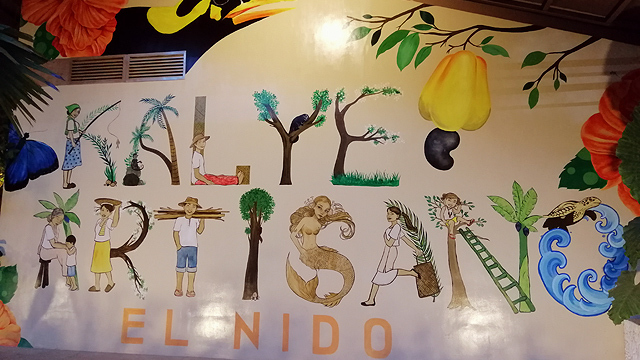 Every letter in this mural is representative not only of Palawan's culture, but also of the province's biodiversity. 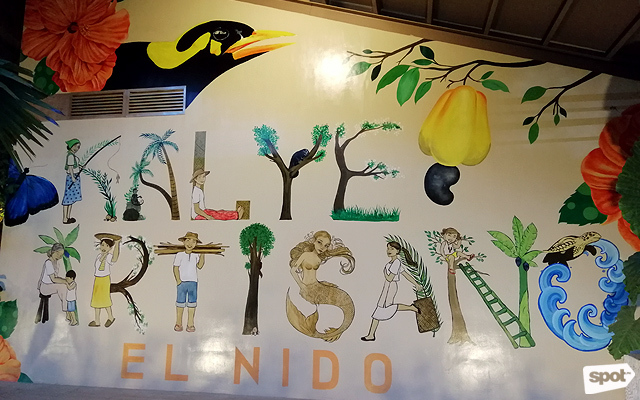 Kalye Artisano, which opened in November 2017, is the pet project of Bea Zobel Jr. and Paloma Urquijo Zobel. 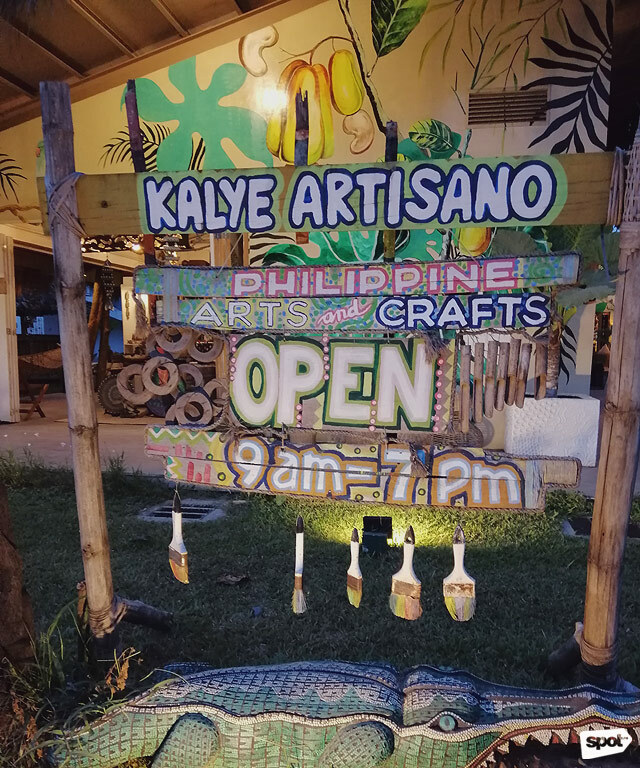 The idea to move to Palawan and set up a community-based artisan village was introduced to them by Bea’s older brother Fernando Zobel—immediately, the mother-and-daughter tandem accepted the challenge. 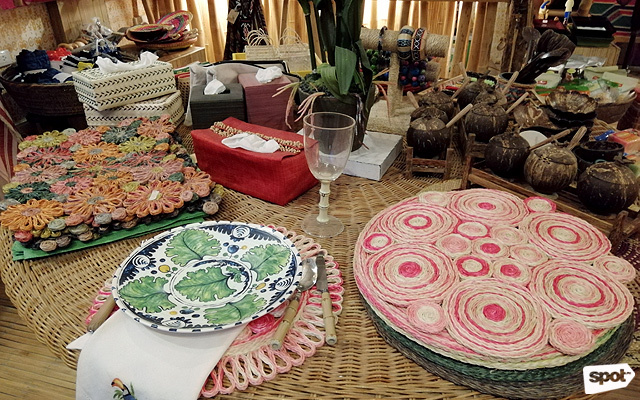 Manggad sells Palawan-made items in vibrant patterns. 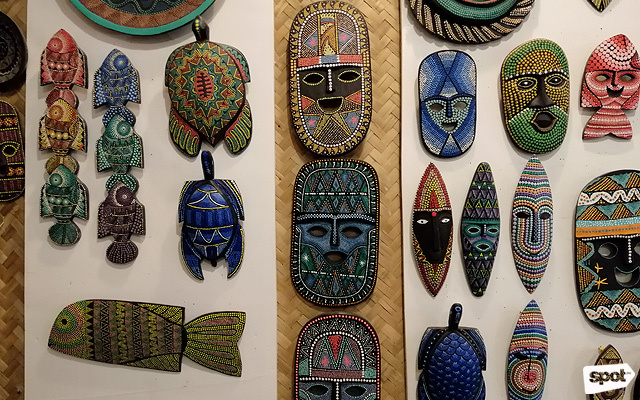 Not your usual ref magnets, these wood masks make perfect souvenirs. 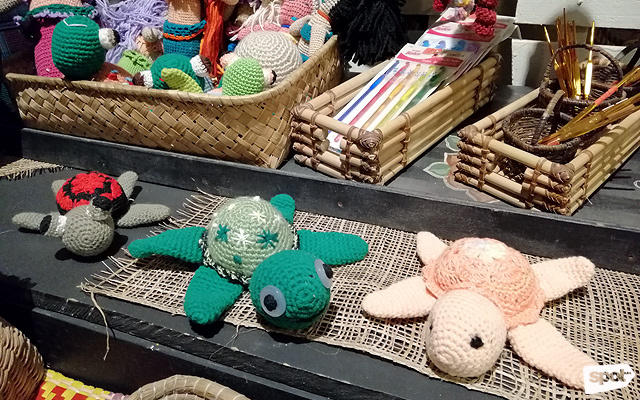 K Art Collective sells yarn craft such as these cute pawikan-inspired items. Every day is an art fair at Kalye Artisano. 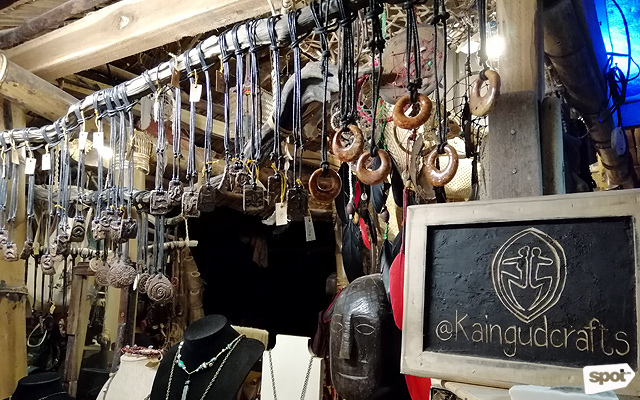 Kaingud Arts and Crafts specializes in tribal accessories and assemblages. 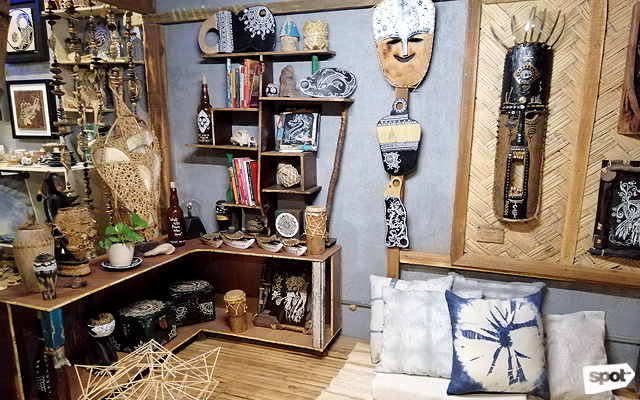 Visitors can just hang out at the stores and learn more about Palawan arts and crafts. 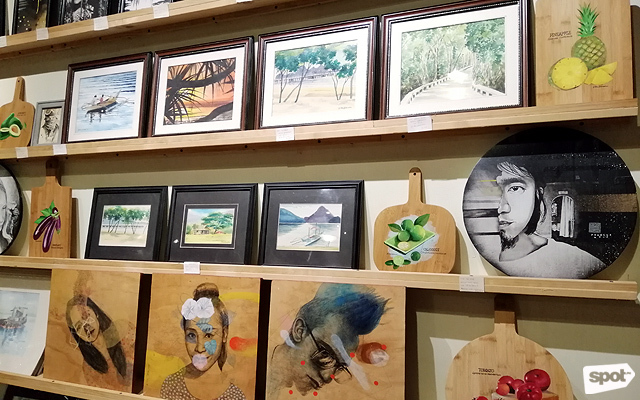 At present, it currently features more than a handful stores that sell artworks, postcards, souvenir shirts, home decor, and jewelry. 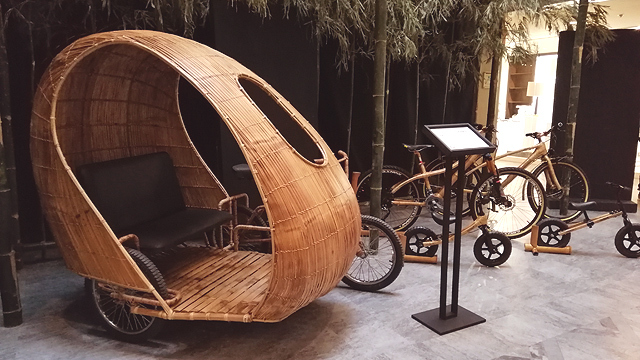 The overall design—wood flooring, handwoven mats on the walls, and thatched roof—matches what these places have on display. Sometimes, you'll see local artists like Nuno Finez and Pagasa Donato making their next creation in their shops. Workshops on buri weaving, jewelry-making, and basic painting are also often held in the common area. 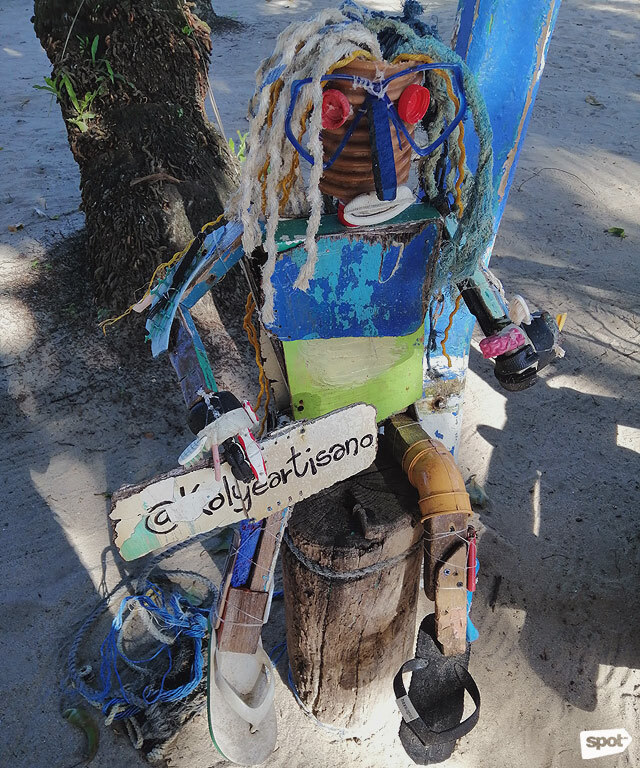 Artists at Kalye Artisano are one with El Nido Resorts' and Lio Tourism Estate's commitment to sustainable tourism by creating functional art from trash. Lio Tourism Estate is in the middle of expanding Kalye Artisano with new stores and artist studios expected to open later this year. One of the shops to look forward to is Paloma’s brick-and-mortar shop for her fashion and lifestyle brand, Piopio. Kalye Artisano is at Lio Tourism Estate, El Nido, Palawan. It is open daily from 9 a.m. to 7 p.m. For more information, follow Kalye Artisano on Facebook.